Gajen Sunthara is the Director of Innovation R&D at Boston Children's Hospital and is the founder of 1upHealth, which is a platform for patients, providers, and software developers to aggregate and share medical data. Prior to this, he helped tech-architect President Obama’s Precision Medicine Initiative at the White House, worked at The United States Digital Service (USDS), and served as a Presidential Innovation Fellow (PIF) at the U.S. Department of Health and Human Services/Office of the National Coordinator for Health IT. While in both public service roles, he worked with multiple government agencies including the U.S. Department of Defense (DoD), Veteran Affairs (VA), and the Centers for Medicare & Medicaid Services (CMS) on the national healthcare information exchange. He also holds a Senior Advisor role at InciteHealth at the Center for Primary Care at Harvard Medical School. Gajen has a B.Sc. in Computer Science from Wentworth Institute of Technology and a M.S. in Information Technology from Harvard University. Managing Director: Strategy and Business Development at Health2047, Inc.
Jack is a Managing Director and leads Strategy and Business Development at Health2047. He is passionate about driving system-level change through collaboration and innovation to improve the way people live and the way physicians practice in the healthcare system. His experience as a physician combined with strong analytic capabilities and healthcare system view refined at McKinsey & Company delivers a broad skillset and contextual depth of understanding of the challenges and opportunities in healthcare. In addition, Jack has entrepreneurial experience building a venture backed company, HealthEngine, global health exposure with work at the WHO and financial and investment experience at Morgan Stanley. Jack received his medical degree from the University of Chicago Pritzker School of Medicine and his MBA from The University of Chicago Booth School of Business. He earned his AB, with honors, from the University of Chicago. 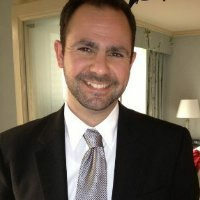 As the head of technology for the SMART Health IT Project, Dan focuses on creating a technology platform that makes it easy for innovators to build applications that seamlessly and securely plug into electronic health record systems, patient­ facing health record portals, and researcher­ facing data warehouses throughout the healthcare system. This work includes development of open specifications for security and data access based on the HL7 FHIR standard, as well as open source tools for developers to build, test, and distribute apps that support these specifications. Prior to joining SMART, Dan managed the design and development for the New York City Health Department of a large scale population health analytics software platform that is being used for research, quality measurement, and clinical care. He has a master’s degree in health policy from NYU. Mr. Reid is a Senior Health Information Technology (IT) Consultant at the American Medical Association. He brings over 12 years of health IT implementation and technical experience to the AMA's advocacy efforts. Since starting at the AMA, Mr. Reid has been directly involved with the association's efforts to reduce the federal regulatory burden on physicians and advance health IT policy. Prior to joining the AMA, Mr. Reid worked as the director of IT for a large specialty medical practice where he managed health IT operations across multiple medical facilities. Mr. Reid holds a Master of Science degree in Medical Informatics from Northwestern University. Dr. Jitendra Barmecha began his clinical and healthcare leadership career at SBH Health System as Chief Medical Resident after completing three years in the Internal Medicine Residency Program. Following his chief medical residency, he earned his MPH degree in Health Management and Policy at New York Medical College, while continuing to provide patient care and medical education services as faculty in the Department of Medicine at St. Barnabas Hospital. In 2001, he joined Partners in Health - a Medicaid Managed Care health plan affiliated with SBH as an Assistant Medical Director and was subsequently appointed the Medical Director of the health plan in 2005. While continuing to manage the medical management of the health plan, he was appointed the Chief Medical Officer of Union Community Health Center (UCHC). During his tenure, he was instrumental in assisting the leadership team in receiving the designation of Federally Qualified Health Center- Look Alike (FQHC-LA) and implemented the Emergency Preparedness program at all three sites of UCHC. In 2006, he was appointed as Medical Director - Case Management at SBH where he revamped the utilization management and social work departments into a single Care Transitions Department by incorporating health information technology into the workflow. In 2011, as Vice - President of Medical Informatics & the Chief Medical Informatics Officer, he assisted in SBH & UCHC Ambulatory Care's application for Level 3: Patient Centered Medical Home designation. His team implemented and integrated the Allscripts electronic health record in the emergency department, acute care, ambulatory care and pharmacy into a single database thereby achieving Stage 1 meaningful use of the Electronic Health Record (EHR). Presently, as Chief Information Officer and Senior Vice President of Information Technology, Health Care Data & Analytics and Clinical Engineering, is setting up the IT infrastructure for Population Health Management for his health system as one of the lead Provider Performing System (PPS) - DSRIP in the Bronx. His team has already completed the upgrade of electronic health records (EHR) to comply with Stage 3 Meaningful Use of EHR. He is also involved in upgrading the systems technical infrastructure; ensuring clinical information systems and patient monitoring devices are well integrated into the electronic health records for the future. As a board member and chair of the clinical committee, he provides clinical leadership to the Bronx Regional Health Information Exchange (RHIO) & Bronx Regional Informatics Center. Dr. Barmecha serves on the advisory panel for the physician payment reforms and practice transformation at the American College of Physicians. He is a fellow of American College of Physician, Senior Fellow of Hospital Medicine and Fellow of New York Academy of Medicine. He is the past president and chairman of the Board of Bronx County Medical Society. While continuing his passion for bedside patient care as a hospitalist, he enjoys teaching clinical staff and medical students, and routinely provides lectures on health care management, technology and policy. Mr. O’Meara is responsible for overseeing the architecture and design of Quest Diagnostics healthcare connectivity, enterprise data and analytics solutions architecture leveraging healthcare interoperability standards, healthcare data exchange, master data management, data warehousing, big data, business intelligence and analytics solutions. He also contributes to the organization's information-harmonization & analytics strategy, enterprise architectural blueprint, implementation roadmap, and data governance that guides the investments required to effectively manage and leverage the company’s enterprise information assets. I've been building custom software with non-technical stakeholders for the past 7 years. I take pride and enjoy helping non-technical users design unique and joyful software that solves targeted domain challenges. Human centered design is essential to what we do. Empathy for your users and for stakeholders is relevant beyond consumer facing software, in clinical settings, and even data systems. We take time to understand the external forces on users that drive how they interact with software tools. Data-driven thinking and human-centered design are complementary tools for building elegant solutions to complex problems. Tina is responsible for managing the day to day operations of the Allscripts Developer Program (ADP), ensuring information, documentation and support is available for developers through online tools like the Allscripts Developer Portal (https://developer.allscripts.com) and marketing the applications and integrations built by developers directly to our client base through the Allscripts Application Store (https://store.allscripts.com). Prior to her role in developer relations, Tina served as Associate General Counsel for Allscripts (formerly Eclipsys Systems), with responsibilities for third-party contracting and partner management, client contracts, privacy and security issues and labor and employment matters. Aneesh Chopra is the President of CareJourney, an open data intelligence service launched by Hunch Analytics, a “hatchery” he co-founded incubating ideas that improve the productivity of health and education markets. In 2011, he was named to Modern Healthcare's list of the 100 Most Influential People in Healthcare and in 2008, to Government Technology magazine's Top 25 in their Doers, Dreamers, and Drivers issue. He is a Member of the Council on Virginia’s Future, earned his master's degree in public policy from Harvard Kennedy School in 1997 and his bachelor's degree from The Johns Hopkins University in 1994. Pavan serves as the Vice President of Corporate Development for Rx.Health, a spin-off from the Mount Sinai Health System in New York. In his current role, he manages partnerships with leading health systems and digital therapeutic companies to drive digital transformation in care delivery. Pavan is passionate about accelerating the pace of innovation in healthcare by decreasing friction between patients, providers, and technology. For the last 20 years, Lori has been building businesses internationally across high tech, healthcare and cloud solutions. Her proven track record of driving growth and peak performance spans start-up and mature environments. Most recently as CEO, Lori led healthcare software startup “Polyglot” from investment roadshow through to exit, providing significant shareholder return. With the acquisition of Polyglot by First Databank, she continues to provide leadership in developing and delivering solutions to improve medication adherence and health outcomes. Prior to that, Lori built a technology and sales alliance with IBM that spanned 92 countries, led a Nortel Canada team to grow 6-fold in 3 years, and defined & drove the business plan for a successful telecoms joint venture in France. As the vice president of Clinical Strategic Business Units, Hillary Biskner’s organization is accountable for deep understanding of the clinical and global markets we serve, setting priorities for clinical solution development roadmaps and coordination across Cerner for solution delivery channels and our clients’ experience. She makes an impact on Cerner and our clients through her leadership and executive accountability to define and continuously advance Cerner’s best across the company with Model Experience. During her time at Cerner, Hillary has established herself as a balanced leader with consistent results delivery. Hillary has repeatedly demonstrated the value of deep client relationships toward achieving shared goals. In 2015, Hillary was appointed to Cerner’s Cabinet representing her corporate accountability for Model Experience. Hillary is a graduate of the University of Iowa and has a Bachelor of Science in biomedical engineering. Hillary has been recognized across Cerner’s Client Organization for her commitment to the physician experience, client value award, as well as CRE and GM of the year awards. She is a recipient of the Bloch Healthcare Leadership Certificate. Hillary is currently pursuing her Master’s in Business Administration and is a member of the American College of Healthcare Executives (ACHE).